Do you want to build an online shopping store on your Blogger blog to give a boost to your online business? 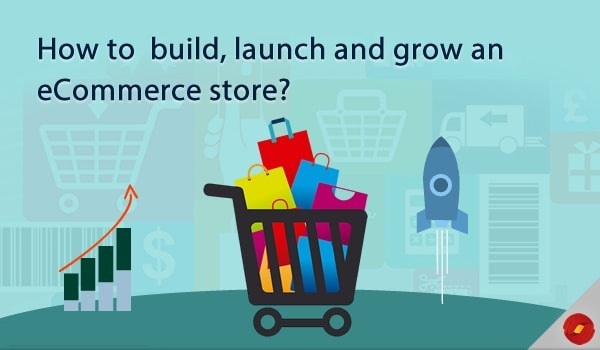 Learning how to build an online store can be a bit tricky job all together. However, with some eCommerce plugins we can neatly convert our blog into a fully flourishing eCommerce site. Recently, one of our users asked us that How to create a online eCommerce store in Blogger Blog. Though, there are numberless eCommerce blogger templates available on the internet, but how to convert our simple blog into a fully functional eCommerce site? Today, in this article, we will show you how to create a online eCommerce store in Blogger blog. You can sell almost anything on your Blogger site, but the product you are selling must be related to your blog. If you write about technology on your blog, then you can sell any kind of tech gadgets on your blog. If you have written an e-book, then you can make that e-book available though your eCommerce enabled blog. Blogger can also sell T-shirts, jewelry, skin products and almost anything that is legal to sell. 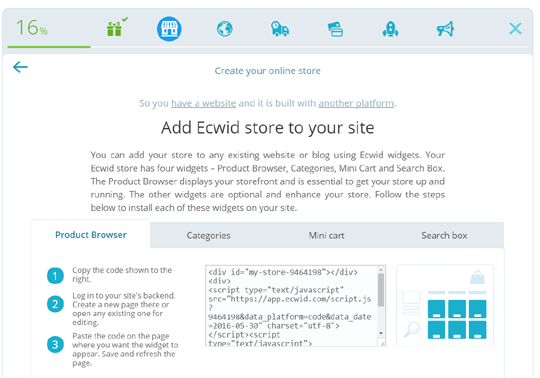 To add an online store in Blogger, we will be using a plugin called ECWID. It is a FREE eCommerce Shopping cart and store solution that helps you to convert your existing blog into a fully functional eCommerce store. 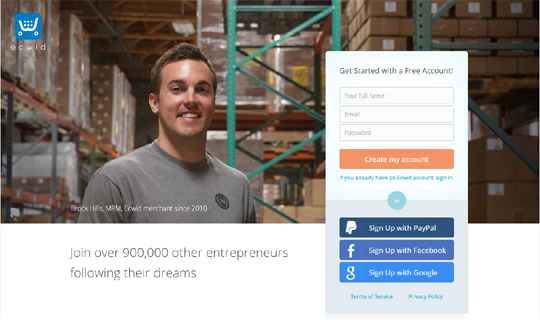 Firstly, you need to register a account at ECWID.com. If you have a PayPal, Facebook or Google account then you can opt for these services to register quickly. After registering an account, you will be able to access Ecwid Control Panel or Product dashboard from where you can create your first product. Select "Add a Product" button from the top menu and proceed to the next step. Add product names, prices and pictures. 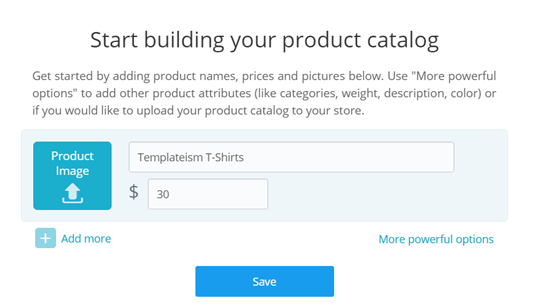 You can use "More powerful options" to add more details to your product like category, description, color and etc (Adding more details to our products will be handy because we will later upload our product catalog to our blog). After adding your product, press "Save". You will not see a message that your product is added successfully, simply click on "Proceed to next step" button. Demo catalog helps you to expore and understand the functionality of the site. 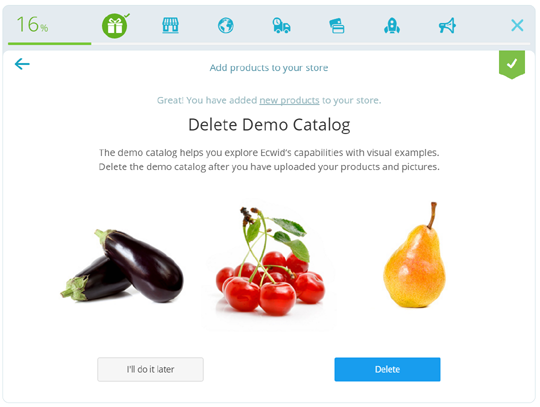 It will ask you to delete the demo catalog, press "Delete" to remove all demo products that were pre-added to your store. Select "Yes, I have a website" button and proceed to the next step. 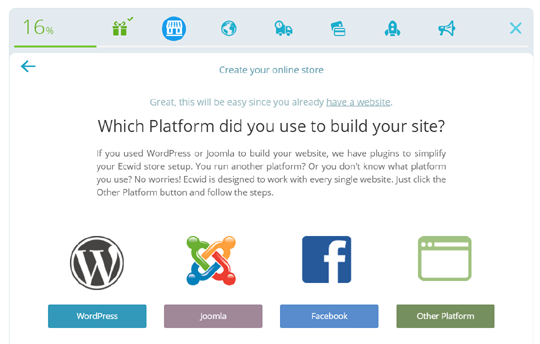 Now you need to choose the platform which you used to built your site, since we are using Blogger and it is not listed in the available platforms. We will select "Other Platform". 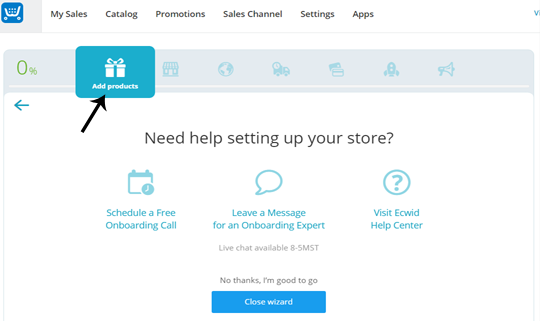 Product Manager: It displays the complete range of the products that you have added in product catalog and this widget is extremely essential to get your store up and running while other widgets are just optional to have. Categories: This widget will display a complete list of categories of your store. Mini Cart: It will add a mini shopping cart to your site. Adding it in menu will assist users in checkouts. Search Box: It will help users in searching different products on your store. Now you will be able to see embed codes of four different widgets that are listed above. Copy any of these codes and Paste the code on the page where you want the widget to appear. Save and refresh the page. To Add product browser in blogger, copy the Product Browser embed code and go to Blogger.com >> Add a New Page. Now change to HTML mode and paste the code which you copied earlier. Name the page as "My Store" and press the Publish button. 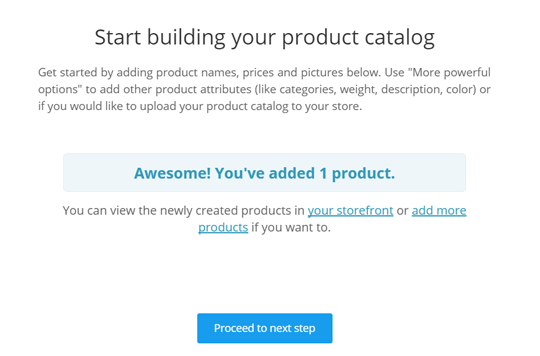 That's it, now you can add more products to your store. Any product added to the product catalogue would appear automatically in the product browser in your blog. 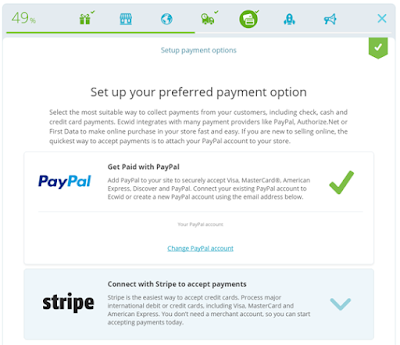 Ecwid also supports popular payment platforms like PayPal,Authorize.Net and Stripe. You can select the most suitable way of collecting payments from your customers which includes checks, cash, credi card payments. Select "Get Paid" from the top menu. If you want to use PayPal to collect payments from your customers in blogger then select "Get Paid with PayPal" and enter your valid PayPal email Address. 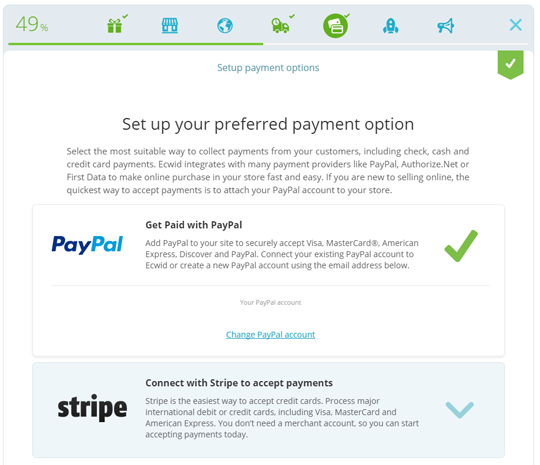 Similarly, You can also use Stripe, if you have a stripe account. You can now setup shipping methods by selecting "Configure Shipping" from the top menu. If you sell digital goods then you can simply disable shipping for products. If you sell physical products, then you can simply follow the instructions to setup the shipping methods. Our team is well trained in different SEO strategies and helps the client to follow right SEO techniques and increase the website traffic in less time. This contributes to generation of high traffic on the website by complete utilisation of SEO and hence helps the website owner to utilise this traffic in earning revenue by Google Adsense. ADONAI Infotech gained a prestigious name owing to its brilliance and efficiency in web development services. Our web development services cover these primary aspects like Client side coding, Server side coding, Client and server side coding, Data base technology, Practical web development, Security considerations & many more. Graphics & Logos are the identity of a brand and it speaks about the reputation of the firm though its design. Hence ADONAI Infotech with its team of brilliant logo or graphics designers meet the demands of the customers and produce remarkable logos. Hence we are the most desirable graphics designing company in Saharanpur. We are an emerging Android & iOS App developer company in Saharanpur. People are opting for us because of our dedicated work. Our team tries its best to create an app meeting the client needs. We are expert in making apps like Shopping, Fashion, Books, Social Networking, Social Media, Music, Multimedia, Health, Travel, Food, etc. We as a Social & Internet media buyer we will negotiate, purchase and monitor advertising space and airtime on behalf of clients desire. Our aim is to reach the highest number of people in the target audience at the lowest possible cost. ADONAI Infotech is standalone Internet & Social Media buyers in Saharanpur or in nearby localities. We delievered more than 18 projects uptill now & all the clients are quite satisfied. We as a team are always their for you to solved any kind of issues within 24 Hours via mail or Phone support. Which made us really appreciable by ours Clients. Beside this we help them in providing good quality traffic at the lowest possible price. Copyright © 2014 ADONAI INFOTECH. Creation of ASHISH HARRISON.